Shopping for Cabbage Patch Kids Dolls? 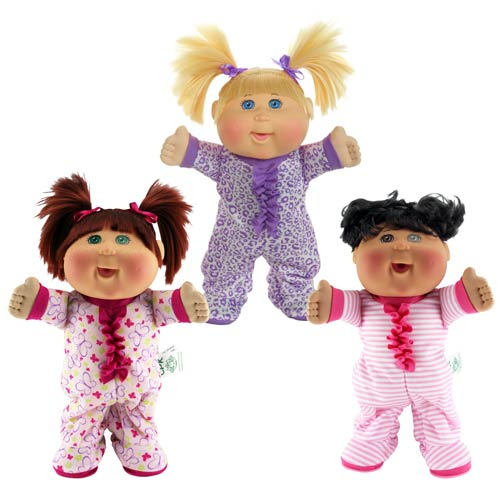 Now your little one can dance along with the electronic 12 1/2-inch Dancing Cabbage Patch Kid Performer! Just press the hand and watch her dance and perform the James Brown classic "I Feel Good (I've Got You!)." The Dancing Cabbage Patch Kid will dance to the beat of the music in her pajamas while her adorable pigtails flop everywhere. This exciting feature will lead to never ending fun and entertainment! Requires 3X AA Batteries, Included. Ages 3 and up.